Read Between the Minds has been evolving over the course of some forty years. It began as a book of poetry and a series of graphic and photographic images designed to tell a story. At the heart of some of the stories were a number of random thoughts about the world around us based upon my own personal experiences and observations. This blog is an attempt to share those stories and to provide others with a forum to convey their stories and experiences…thus defining a common bond…one that lets each of us know that we are joined in ways not always defined by daily life, but by the stories we share. Okay so here’s a surprise..the stuff (poems, images, photographs, etc.) on my blog are copyrighted since my attorney is looking for a way to pay for his second child…it’s the same old story…let me know if you want to use something. Which are too seldom read, much less understood. Still, I think you’ve hit the nail on its head. And in a way that’s unusually well said. Interesting blog. Interdisciplinary and random, the way I like ’em. i like what you are doing here! after all, we are each just a collection of stories waiting to be opened. thanks for the visit! I like the style of how you output everything on here. It does tell a story, just not in a way everyone would expect. thanks for dropping by my photo blog. i also do some writing, but keep it separate, contrary to your blog! here it is: http://yichinglin.wordpress.com , for future reference (smile). Hey, love this message. thanks for visiting my site, it alerted me to yours and i have had much enjoyment discovering it. I like your blogs a lot brother. :). Keep it up I will regularly check it out. Thanks for stopping by my blog the other day. Your blog has a very interesting concept. I’ll be sure to stop by often! Thanks so much for your poetry…I too have added you to my “Touchstones” ..the poets that I recommend to others. Your mix of images and words, of perspectives and impulse, are just perfect. What a delight! Thank you for your warm words and the honor of being included on your blog…it is more than ok with me! Again many thanks. Thanks for stopping by my blog. I really enjoy all your work. You might even inspire me to post my artwork on my blog. Thanks for reading my poems. I like what you did with this site. It’s interesting and your poems are absolutely lovely. We’re making it up as we go! Thank you so much for your comment on my blog which led me to a pleasant surprise. I really like your work, especially the sound recording and the idea of melting visual, sound, and thoughts in one experience. I love the presentation of everything you offer here. It’s very unique and draws a person in without the person realizing it until they are absorbed with no chance of turning back. Thank you very much for your comments about my site…I’m still learning about this whole process of blogging and hope that those who read my poetry will find something to take with them. Again many thanks! You’re welcome. I’m sure there are many people who take things from your writing. I know I have. Thanks for you appreciation on my poem. You are a wonderful poet. It’s a pleasure reading some of your works. Yes, I have seen and read some of that blog…but I’ve only commented I think on one poem thus far…thanks for visiting my sitie. Yes, I like such style of writing, some remind me of similar poets spawned from here in my nation, so, well down to you, I enjoyed reading, and will continue. Thank you for visiting my blog, and for your kind comments about my poems. Your poems and artwork work together so well! your blog is very inspiring! A bless to have discovered your blog. Amazing stuff..real amazing! thanks you so much for your feedback on my poem..now i know, how much it matters coming from someone like you. Thank you once again. A bliss to have discovered your blog. Amazing stuff..real amazing! thanks you so much for your feedback on my poem..now i know, how much it matters coming from someone like you. Thank you once again. Well I couldn’t decide which post to comment on because I enjoyed each of them equally ! You are a wonderful writer…I really appreciate your work. Thank you for sharing it with us ! just wanted to thank you for the kind words you left on my blog. i have never promoted my blog, so it was both a surprise and a pleasure to discover someone had actually found it and commented. i’m so glad to learn that you enjoyed my poem. Thank you for ‘thanking’ me for my poem. It’s rather encouraging, giving that I just started posting on my blog. And thank you, too, for your poetry. I find your work quite appealing and will be sure to often drop by, or better still, with your permission, add a link to you on my blog. your poems are very interesting.. thank you for stopping by to read my poem.. it’s very random! I don’t really have OCD, just feel like I do sometimes 🙂 you know how it is. Thanks for the comment you left that led me here. I’ve really enjoyed reading through some of your posts here, and will return to read more (once I’ve waded through some college assignments). I’m a total geek for storytelling myself, so it’s always nice to come across someone who shares that passion. I appreciate you stopping by and leaving a comment. It’s cool to get interaction, especially since I just started my blog a few weeks ago. I also like what you have here, so don’t be surprised if you see me pop up on here reading and leaving comments. Thanks for your recent comment on a poem on my blog. I like your writing style and use of images to create a story. I was actually looking for an image to go with that particular piece but couldn’t find one to match what I had in mind. Great blog 🙂 I will be dropping by to see your creations. Thanks for stopping by mine. Thanks for your kind words in your comment on my poem. You have a nice site here! I will post your link to my Facebook and Plurk friends. I placed everything I ever wrote in public domain so, feel free because it is free. Thanks for commenting on my poem…now I have discovered your blog. Love the active recognition of the “common bond.” Love the passion; love the commitment. What a wonderful creative life’s work you are contributing and what a wonderful space you are providing to encourage and inspire others. Thank you. Thanks for your continual encouragement of Your Story Matters and for my daughter Sara at spacious4him.wordpress.com. You are a blessing to us. Keep writing. A word timely spoken is like apples of gold in a setting of silver. (Proverbs) Your words are like that. Since I cannot comment on the About this blog blurb, I shall comment here. Your comments are never a plague, they have made my day time and again. Though I have not commented on all your poems, I do keep reading them, and without fail I find you write powerfully and beautifully. Yhank you for sharing your poems, and your art, and for sharing your thoughts on the poems of others as well, I have found other poets I enjoy through your comments. I wish you a lovely holiday. Love your blog. Thanks for commenting on my poem. hello there! thanks for reading my poem. although, because it is part of a larger fiction, it is not my “real” poetic sentiment, just part of the characters’ … i hope you understand. anyhow, i’ve read through a few of your posts and i like what i’ve read so far. i think i tried to friend you on facebook … maybe it wasn’t you. anyhow, one question about your words: do you consider your poems “free verse?” i haven’t done a deep scansion of these poems, there does seem to be a kind of regular meter; but at the same time, there also is a hint of chaos, an a-metrical meter if i may so put it. I would call it free verse with a hint of meter…but it is more set by the flow of the poem and the underlying meaning I’m going for in the poem. Thanks for taking time to read and comment on my poem. thank you for commenting on my site. that really made my day, knowing that someone enjoyed one of my poems. your works are awesome by the way, your piece “the hamster” really caught my attention. Thank you for the encouraging comment. Your poetry and your blog inspire me to try and work toward a higher standard. Enjoyed a peek at your blog. Beautiful and thoughtful. Thank you for commenting on my site. Through it, I was able to find your blog, which I have enjoyed very much so far. I apologize if my comments seem a bit rude and if some of my posts are incredibly juvenile. I just recently made the blog, so I’m still experimenting with the overall tone/theme of the site. I’m sorry if I have offended you in any way. Continue the good work. You are very talented. Ryan…I have not been offended by anything that you have said…I appreciate your concern…but don’t worry about such things….keep up your writing my friend. I have reviewed your blog more closely. Keep writing, taking pictures and writing poems. I love your theme of story telling and the creative way your are doing it.. You have been a kind encouragement to a new poet and new blogger. Thank you! I would like to ask that I could add you to my list of “poet friends and other links” is that okay? I would be honored if your returned the favor! Thank you I would be honored to be listed with you and to have you listed on my site…thanks for your kind consideration. Thank you for visiting my blog. I’m glad you liked my poem to our troops. I really like your work, very moving. Keep up the good work and hope you check out more of my work in the future. Really enjoying your blog. Great observations & reflections. I’m a big fan of the image/word relationship, which always seems to communicate something more than either alone can. Thanks for visiting my site, see you around! Interesting poetry! Powerful, evocative, heartfelt. Good stuff. Thank very much for your visit and comment on our blog. I look forward to taking the time to delve into your own, it seems very well aligned with ours. Thanks for visiting my blog and giving me the chance to discover yours. I will enjoy spending more time exploring your poetry and images! Thanks for visiting my blog dear……. your blog is also good I like it a lot………. i tink unverse always bring well wishes and like mindded people meet and embrace the same dreams and vsion. we share the dream of making the ‘voices” of others to be heard, see and feel /realise in our blog! Wonderful work here, i started recently reading your poems .. whatever i read are wonderful work … i hope to read more beautiful work from your pen. Thanks for visiting my blog and leaving your comment regarding my recent attempt at poetry. After reading your work, I feel honored that you liked my own. I think you have inspired me to give it another go. Thank you for all your comments on several of my poems. You are very generous with your words. I appreciate all the comments. I love your work, the illustrations and the poetic content are fascinating. I have added you to my BlogRoll. my I send you a private email? Since I cannot comment on the About this blog blurb, I shall comment here. Your comments are never a plague, they have made my day time and again. Though I have not commented on all your poems, I do keep reading them, and without fail I find you write powerfully and beautifully.Yhank you for sharing your poems, and your art, and for sharing your thoughts on the poems of others as well, I have found other poets I enjoy through your comments.I wish you a lovely holiday. Thank you for stopping by my blog and leaving your kind comment. I am very new to this blog stuff and found it very encouraging that someone had actually commented, someone I’m not related to that is…hehe. I appreciate you reading my poems and giving feedback. You have some very interesting pieces around here, I’ll look forward to having more time to delve into them. Thanks for your recent comment on my poetry. I have written since I was very young. I was told blogging is a good way to get noticed as opposed to traditional ways of mailing publishers one’s work. I am totally new to wordpress. My friend recommended it. I believe I added you as a friend, hopefully it worked. Was curious to know more about you. Doesn’t look like there’s a biography anywhere on here? I really haven’t been doing this very long…I started on 1/17/2010 because John (my friend) encouraged me to do so and he was also starting a blog (http://everchangingperspective.wordpress.com/) …..I believe it was more because a ‘misery loves company’ kind of situation. I truly don’t know what kind of following I have, but enjoy my written conversations with people from different corners of the world…you learn so much not only about they’re home…but also about yourself. Not sure there’s much very interestinga about me to say…I enjoy poetry and photography and try to let the work to my talking for me rather than boring folks with facts about me. 😉 I have been writing off and on also since I was quite young. Cheers! I truly loved your site. It’s very unique and so fresh. It’s something about the way you present your message…that keeps me interested. Thank you for visiting my blog! Its nice to know someone read my poems. 🙂 Yours are lovely as well. What wonderful words you scribe in your poetry, whether it’s on social issues or on love. Thank you for sharing these with use. Hey there, I think you have more responses to your “About” than any other blogger I’ve yet seen. I probably should have asked you before I did the new “reblog” thing that WordPress has set up for us. Keep telling family and friends about you and a way to push them your way . . . Let me know if it’s a problem. My apologies. The copyright on my site just covers my stuff. Your site is growing be leaps and derves to. lovely blog you have here. looking forward to reading more inspiring stuff from you. cheers! Thanks for sharing your profound ideas and worldly observations with us. The fact that you put them down in the way you do, is what makes reading your blog an event I look forward to! Blogrolled and BlodSurfed you so that I can stay updated! Appreciation from you is golden… I am really glad you visited my blog!! Hi, thanks for coming by to comment on another of my posts. I’m having a great time reading through your poetry. Good work! I like… “The stories may be repesented in poems, photographs, or random thought articles, but they all tell a story.” Enjoying your space here & will stay tuned. I’m wanting to explore inspiration and the Muses that we serve while creating. Thank you for your very kind words… You have a very interesting style of writing poetry yourself. Super Blog! I look fwd to reading your posts. You’ve captured life in a nutshell. It’s what we’re made of: Stories. Stories that bleed into one another, unfolding and forming life. Isn’t it beautiful? Your blog is just awesome! I really love the poems you made. I keep running into your blog throughout categories I read. I enjoy your blog, so was thinking of putting it up my recommended sites on my home page. Would you be interested in exchanging links? If you put mine up nihilisticpoetry.com (Tag: Nihilistic Contemporary Poetry), I’ll put yours. Just leave a comment in my blog or email me and we’ll work from there. Hope to hear from you. I just happened to stumble upon your blog, and I must say, you’ve got a great talent for writing. Your poetry is so profound, and really captures the essence of life. I added you to my blogroll, I do hope you don’t mind. your poems touch many I am sure. for they have touched me. I will add you to my blog…we need more like you in this samsara. Muchos Gracias for the encouragement. I hope to one day build a collection of profound poetry like you have. And thank you for sharing. Original and interesting. Thanks for stopping by my blog otherwise I wouldn’t have discovered yours. Sure to come back. I’m slowly making my way your poems and I have to say that I am really enjoying them. Thank you also for leaving comments on my blog (the first 2 comments I ever received!). Hello – I hope your day is going beautifully. I have really enjoyed reading the poems on your blog over the last few days – since you commented on my blog. I have a question, and I hate to bother or intrude – but here goes: Is there an online source you are familiar with where I can learn to “craft” my poems in regards to punctuation (or lack thereof), flow, and layout??? I notice a distinct lack of punctuation (if I’m even describing that properly) in the poems of yours that I have read, and I like them very much. Without getting overly wordy (too late?) I’d love to hear your thoughts on this and I understand if you being busy precludes you from answering specifically or at all. Heya, I really like your stuff, keep it up. I’ve added you to my small-but-growing Blogroll, too. This blog is a journey and a wonder to read. Thank you so much for sharing…your words are an adventure. I greatly appreciate your stopping by my poetry blog..many thanks for all those words of appreciation. I find your site quite vibrant with beautiful pictures accompanying lovely poems. It has inspired me to have pictures on my own blog! I just read your about section and I can really relate to the “scars of iambic pentameter”….. That is what happened to me and music two years ago… Sometimes you just have to go your own way, and that is when you will find your voice even stronger than before…. I had to take time to learn that lesson on my own, and I am glad I did… Your poetry is gorgeous! Thanks for sharing! thank you for your wonderful comments. i feel honored to have touched your heart. your blog is amazing and i can see it all comes from the heart. i wish you inspiration and LOVE. I’ve read around on your blog for a while, and I’m convinced: I’m subscribing. Keep the poetry coming, I enjoy reading it and thinking about the topics you bring up. I’ve enjoyed exploring your writing tonight. Kept returning to ‘metamorphosis…’, ‘Political Jaberwocky…’ and ‘war machine’. Very thought provoking. Thank you for writing and sharing your stories to encourage that ‘common bond’. Lots of poem. Been a while since I wrote my own poem. Thanks for stopping by my blog. Hey hey all the way from Sweden! Can’t remember how I found your site but I’m glad I did. Great take with the sound clips, adds so much to your already fantastic work! Wide smiles! finally found your blog dude. after all those comments, your blog address isn’t attached to your username. so now, I can read your stuff and return the favor! Thanks for dropping by the ‘Roost and your positive comment. You’ve a lovely collection here, very intriguing. Hi slpmartin. What I like in your work: it shows a lot of involvement and compassion with society. The view you seem to express is harsh sometimes, but honest. Your style is imaginative and expressive. Being more of an impressionist myself (in my own humble opinion) it’s very nice to read poems like yours. Consider me a follower. 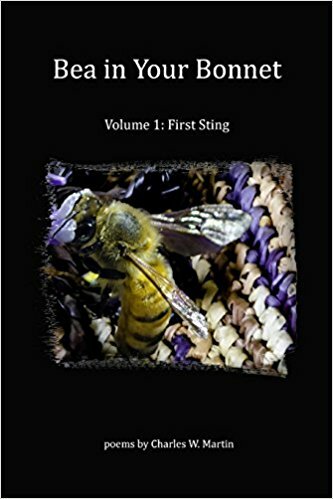 Your poems are truly beautifully crafted and the pictures stunning. Each time I return I’m amazed by your creative outpouring. I’ve read a lot of the comments above and can only agree in saying that your comments on my blog have inspired me to continue with my poetry. And so far, it’s been a truly emotional journey. As a relatively new blogger, I had just put you on my blog roll. Was I supposed to ask? It occurred to me on reading some of the above comments. Sorry if I’ve been impolite. Since I’m relativelly new to all this myself…I’m not sure what one is suppose to do…but for me…I am honored that you’ve added me to your blog roll…many thanks. Hi. I hope you don’t mind, but I added you to my blogroll. Keep up the good writing! I am most honored…thank you. Your poetry is so brilliant, intense, concentrated – like the brilliance of a faceted diamond, reflecting in and out and back on itself, then sending out more light than it took in to dazzle us. I’m constantly surprised, stimulated, and frequently overwhelmed. Amazing work! this is a great way of sharing your ideas. It took two hours to scroll down to the bottom of your page. That is a wonderful accomplishment. So many people commenting!! I’m just stopping by to tell you Poetic License will be posted tomorrow with your poem in it. I decided to also post one big post on January 3rd with the past 4 months of Poetic License. I hope you stop by to see that! Thanks again for letting me feature your poetry. I’m entranced by your poetry and the visuals on your blogsite. I learned of you through your comments to PlaneJaner. Thank you for the moments I spent here. I know I don’t visit your blog as much as I should, but whenever I do, I’m truly inspired to just take a moment and think whenever I’ve read one of your abstract and intricate poems. Thank you for posting your work. Thank you for being supportive of my poetry as well. It means a lot to me. I have something for you at my blog, Charles! I hope you don’t mind. I added a link to your blog from my list. I don’t get many visitors, but I wanted to point my few to you. Charles, I love that you read my poems and comment on them 🙂 most people I know just pretend they don’t exist. 🙂 I wanted to ask, would you mind critiquing them occasionally? Your poetry is so incisive and I know mine is too wordy — I don’t edit very often because I don’t see where to. I would really appreciate it if you could help me become a better poet…thanks! Hey, I’m Blackprint Poetry remember? I’ve moved to a Blogspot site, but would still like to be in contact with you. I’m @BlackprintPoet. Do you tweet? You write so incredibly well. Everyone has random thoughts, but you Sir are good at intercepting and illustrating them. i love hawk chronicles! i’ll be watching out for more of it! I just noticed your request that if someone wants to use anything from your website, they should contact you. I publish a blog named ‘RADIO DEMAGOGUES.” On it, I have a post entitled “Bloody Microphones.” Your image of the bloody miicrophone on your home page inspired this post. I am new to the Internet and have been pulling photos from websites and blogs that I want to use to illustrate my posts. I stupidly assumed most of this art fell under the fair use category, and probably had been passed around so much that no one really owned it. Now I see this was a naive idea. Anyway, I plugged the photo off the bloody microphone into my post. Also, I used it as my gravatar image on my Facebook page. Of course, now that I see your notice, I have pulled the art. However, I would love to use the bloody microphone for the post and as my gravatar. Would this be OK? Here is link to the BLOODY MICROPHONES story: https://radiodemagogues.wordpress.com/2011/07/07/bloody-microphones/ Thanks. – Mickey Murphy, RADIO DEMAGOGUES blog. Also, I would like to copy the poem next to the bloody microphone art, and publish it as a new post on my RD blog. Of course, I will fully credit the poet. That image is a photoshop composite I made for the poem…but feel free to use it and thanks for letting me know. What kind of mic do you use to record your poems? Plantronics unidirectional mic …operator setup on headphones. Thanks for the info. Been looking for a mic, myself. Val, in her comments on Night Vision said that it was so good to hear you read the poem. How would I do that? I clicked on the picture but nothing happens. I receive a lot of enjoyment from your postings, I do prefer the love posts, those dealing in the harsh realities upset me, I guess because It makes me feel helpless. I pray constantly, in hopes that there is an answer out there. You are extremely gifted, your words evoke so many vivid feelings, it is a rare talent that can make others feel. The senses are such a special part of our being. Thanks for sharing your gift with all of us. Dee at the bottom of the page you will find a audio player…it has a speaker icon and arrow…if you click on the arrow it should play the audio of the poem . ..thanks for your comments. Thank you, it was enchanting to listen to you read those I chose. I can’t remember if I’ve left a comment here before or not. I have a rather selfish reason for doing so now–I use the same “theme” on wordpress and I do write poetry sometimes which I post on my blog. I am having a helluva hard time getting things to transfer from Word onto my blog while maintaining line breaks, indentations, and paragraphs. I would love to have any input from you as to how you manage this. How do you maintain the shapes of your poems? Also, though I haven’t made my way through much of your blog, I am loving your poems. Unique, clear, and solid to say the least. There is a lot of crap writing out in the blogosphere–why should I bother to mention this?–I don’t know but it’s so enormously present–the bad writing. I need a drink from better waters and your poems supply. Thank you, thank you, thank you. And let me know if you can help me with the technology. Mr Martin, Do you mind if I ask, how did you come to choose the name for your blog? Today I listened to a beautiful song by Jack Savoretti, about a quiet man. Is that you, the quiet man? Shy verbally, yet so gifted with your words. I wondered if the song was instrumental in your choosing or if it just came from your heart. The title of the website was ot not influenced by a song…it is a title that I have had since my days at university. I don’t think most people would say I’m shy…since I have learned to …as the poem says “wear the mask”. The title of the website comes from inside of me and my own history…thanks ever for your comments…I appreciate them very much. Thank you. The song is actually called “Read Between The MInds” and it’s words are beautiful.Sometimes I feel like I know you and yet that is not possible as a fellow blogger of yours said they thought you are from California and I am from the mid west. Please do not think I am strange but I did feel last night that your next writing would be a love poem. Perhaps it was just time, as you always soften the harsh realities of our world with a few love ones, which I enjoy. Stay well and keep inspiring others with your words. I am from Kansas, the land of Dorothy and Toto, tornado’s and this summer a terrible drought but I am leaving tomorrow for Turkey and Greece, I am hoping to see some of your postings while I am gone, if not I’ll play catch up when I get back. Have a great trip…I haven’t been to either of those two places..but they should be interesting to observe given events in that part of the world….have a safe trip. Is there a way that I can go back and read some of your early posts? Other bloggers have them listed by months and I often reread ones that I like. I have only been reading yours a short time and do not know how to get to the earlier ones without clicking on older posts but that takes forever to get to those you haven’t read. If you scroll down the page, you will find the word ‘Achive’ on the right side of the page…there you can select a month & year of previous publications from the pull-down menu….thanks for commenting and reading my poetry. Cheers! Thank You, It was right in front of my eyes all the time and yet I didn’t see it. I sometimes think I must have been blonde in a former life. Mr Martin, Merry christmas, I wish you lots of joy and peace in your heart, wonderful times spent with family and friends, and the love of God to bless you each and every day in this coming new year. May you share the love in you with as many as you will meet. We are called to be a blessing to others, to all nations. My prayers are that one day it will so be, hoping I will be here to see it. I am the eternal optimist. I have questions, do you have a way of tracking the numbers of your followers, like how many are fellow bloggers vs how many like me are general public. It appears to me that those who comment are mostly fellow bloggers, perhaps I should not be commenting at all. If you want to reach as many people as possible in order to make others think, and bring about more awareness to effect change, what other venue could you use? Facebook is very universal but answering comments could present a problem, and you would leave yourself open to possibly negative comments from those who didn’t appreciate poetry. Fellow bloggers are encouraging and often flatter, that makes them safe. Is safe what you are looking for? Or, is reaching many a goal? I only found the blogging world thru a friend and he is the only one I know who reads blogs, so how do the masses get to all the bloggers, word of mouth is awfuly slow. I love that you take the time to comment…most readers don’t comment for a variety of reasons..so writers like me always enjoy them when someone does comment…although I tried facebook for a while…I really didn’t like it all that much…every now and then I’ll make a video an post to youtube…but time constraints are always a factor…I write poetry because it’s something I really enjoy and if it brings about small changes or adds to someone’s day…I’m happy with that…thanks ever for you comments…I truly do appreciate them. Cheers! This between the minds thing of yours must have me in a weird place. I had the most bizarre thing happen to me this morning,woke me up. It’s not something I can share,because it would mean you may think I am completely off my rocker. Do you mind if I ask how long you have been writing poetry? It appears your blog only goes back to 2010. I just wish more people other than your blogger friends could read your poetry, I think it should be shared more. Hopefully you are working on an Aunt Bea book, I wonder how difficult it is to get things published, you could publish a book of poems also. I am truly glad that I have finally clicked upon the icon that I call Slip Martin. Love the comment about your lawyer. I know I should comment more often on your work… but I am mostly stuck in my own head, so I don’t do it enough. I love you telling me stories. I really do. I am a loyal follower. I was thinking about you and your poetry today, and wondered if you appreciated how blessed you are! I think your poetry is improving by leaps and bounds every day which seems incredible because it is already too good, and the images that you create with the pictures are astounding, for me it is often incomprehensible how you even thought of it. You have such a diverse following of people from all over the world. Can you imagine if you were able to travel and visit and meet with all your fellow bloggers, how awesome that would be!!! I wonder what you would write then? Well it would be for me as I just love meeting new people, perhaps you would prefer to remain status quo. Is there such a thing as a bloggers convention? I suppose we need to be thankful for the internet, that so many can have acess to your words. Thank you for being who you are, and may your life always be filled with goodness. Dee…you are most kind…I have been very fortunate to have met so many people worldwide via the web…perhaps someday I will meet a few in person..again many thanks for your comments. 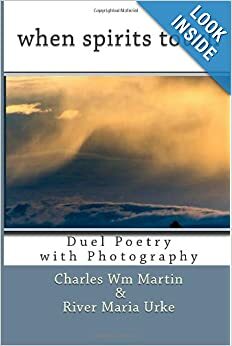 “Poetry has the power to make us aware of what is hidden in the shadows” …yes, as Bill Matthews used to say it’s “the ineffable: that which cannot be eff’d.” !! Mr Martin, your post today reminded me of La Chureca. As an update for you, our church took our group of high schoolers and adults to Nicaragua and we had raised enough blessing money to finish construction on a 4th house, at Villa Esperanza. There are presently 24 girls residing at Villa Esperanza, and now with this 4th house, they will be able to add 8 more girls. It was an amazing experience to hear their stories of life before and life at the Villa.Their goal is to have 48 girls at the present location, and there is more property next door for purchase for expansion. Our students were greatly impacted by conditions there at the dump,so very different from theirs here at home and by the hope, love, dedication and education of the girls who have been previously rescued. They worked with those girls at the Villa to commence a sports field for them, called themselves the “dirt people” other groups behind us will complete the work. One of our students, an artist left a beautiful mural on their courtyard wall representing hope. The Villa will be an ongoing project for our church, along with the other 16 live in teams that we have in various countries in the world. There is good going on in this world, there just is so much to do, in so many places, and each of us must be willing to take some small part if change is to come. Mr Martin, A question, do you think one day there could be four men at the top of your blog, the existing third one has somewhat of a smirk which has graduated from the original scowl, I am thinking an actual smile maybe?????? To me your love poems warrent a smile being there, just my thought. Alas my dear Dee…the image was created many years ago by one of my university students in response to reading some of my poems…and given my drawing skills such a change is most unlikely..but I do appreciate the thought…thanks ever so much for taking the time to read and comment…peace be with you. Mr Martin, I usually read White Buffalo Woman’s blog, but I have not been able to access it since Nov. 4th. Being one of her fellow bloggers, do you have any idea if this is a problem on my end or with her blog site? PS Was sad about the smile thing, your love poems and Aunt Bea deserve a smile. The last post I have from White Buffalo Woman was Nov 4th also…not sure what’s going on…hopefully we will hear from her soon. We’ve met between the minds before, but it has been awhile! Just wanted to stop back by and connect. I’ve been awful at commenting, but as I have been telling my readers of late, it’snot because I don’t read and like your words, and spend time thinking about them throughout the day or week. Mr Martin, I just wondered if you had found any news on White buffalo woman’s blog. It says it is no longer available, but I noticed she does comment on your poetry. I have her in my prayers, hoping all is well with her, hoping it was not a stalker thing. I do miss reading her blog. I have two friends that publish blogs http://47whitebuffalo.wordpress.com/ and http://thewhitebuffalowoman.wordpress.com/….I’m not certain what is happening with my second friend right now…hopefully everything is alright. Hi Martin, I would like to thank you for following my blog and always reading my poetry. I enjoy listening to Aunt Bea’s thoughts every now and then myself! Thanks every so much for you kind words and although I appreciate the honor very much, I like several other poets do not participate with awards at the present time. You have a good site, but please be aware of this. I’m so happy to announce that i am nominating you for the WordPress Family Award! here’s how you’d go about it. Please add your blog URL on your gravatar page, so that people can be directed to your blog. When you ‘like’ someone, we click your gravatar (your black and white image), we’re taken to your gravatar page. At the moment, there’s no link to take us to this website. Mr Martin, I would like to order two of your Hawk Chronicles, one for me and one for my friend Becky. I really would like them signed, it has so much more meaning. I am trying to figure out how I could possibly do this. My e-mail is alwystchr@aol.com should you have an answer on how we could possibly make this happen. Hi, I’m now posting here too: http://bit.ly/1cngCty. Thanks for your interest. Hi, just wanted to let you know that I have a new site in case you’re interested: http://blinkfiction.blogspot.com/ Also just wanted to let you know that I really appreciate your support, and I still think of your comments and thoughts on my old site. thx for the props. i also believe poets write history though engaging in shameless expression of social times therefore creating waves via current news => the dadaism of today. one love and bless every step of your path. Thank you for stoping by my blog and liking all my posts!! I like your blog. It’s inspiring. Thank you. I look forward to reading more of your blogs. You may enjoy mine, http://www.michadam.wordpress.com, which is about my journey of spirit and healing behind my soon-to-published novel, Child of Duende. Blessings! Hello, slpmartin. You recently contributed a poem to the #PoetsforPeace collaboration. An online magazine liked the spirit of the collaboration, and asked to publish it. We need your permission to include your poem. Hello Charles. I remember meeting you nearly 50 years ago at Ohio U and being an illustrator for what I believe to be the original “read between the minds.” I am delighted and honored to see the one my illustrations is still useful to your work. Well done! I am so excited to hear from you I had done some web searches for you but didn’t find you…as well as the other’s who did illustrations. Which illustration did you see…I think there are others. Hello again, Charles! Sorry for my late reply but the holidays and loved relatives have consumed all of my time. The illustration that I believe I contributed many years ago is the pen and ink depiction of the three African-American men found at the top of these postings. After graduation, I took a job as a camp counselor in Blairstown, NJ since no one would consider a job interview for a draft status of 1A. Drafted, two years in the army, one in Vietnam and 43 years in Education ( mostly in administration), I’m now retired and enjoying your poetry.